It turns out I’m not the only one who’s ever wondered if it’s possible to comfortably run a marathon. At the weekend, a runner got in a touch after Googling that same question (see her comment at the bottom of last week’s post). I’m just sorry I couldn’t give her a concrete answer. But it got me thinking. If comfort were my goal I’d spend every evening on the sofa. Most people run marathons to see how far and hard they can push themselves. After months of training, everyone wants to run their best time on race day. You don’t want to be comfortable; you don’t want to be in agony either, of course, but if it feels too easy you’re not pushing hard enough. Thing is, my marathon on 17 April isn’t my ultimate goal. That’s two years away. 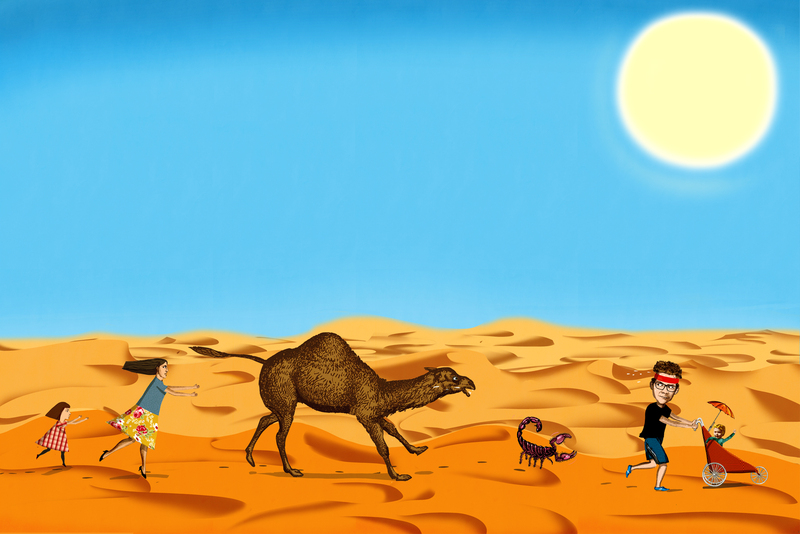 The Marathon des Sables is a 150 mile race across the Sahara, split into six legs, varying in length from 20 to 50 miles. It will be many things; comfortable isn’t one of them. My thinking is this: if I can run 26.2 miles around the benign streets of Brighton relatively comfortably, I can mitigate the inevitable agony the MdS has in store for me. 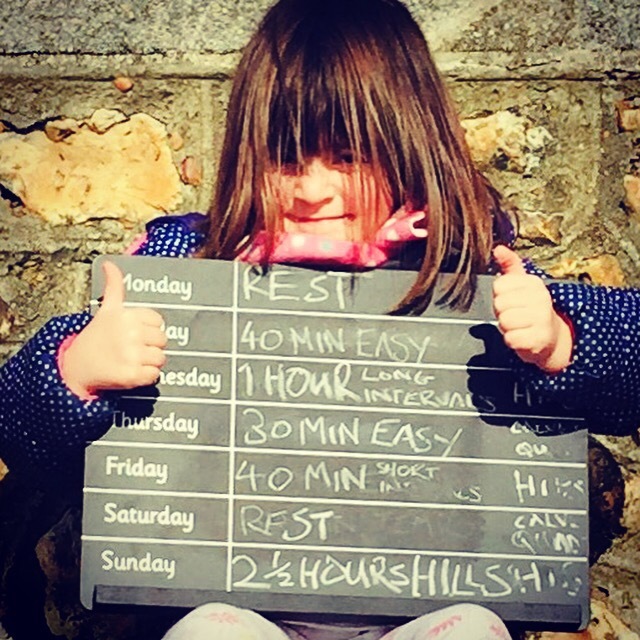 So, as shown on this week’s schedule (again modelled by Sprog the Elder – my new coach), I’m going to be running my long runs over hills from now on. I’ll also be heading to the beach from time to time to vary the surfaces I’m running on. If I’m going to be able to minimise the discomfort on 17 April, I need to increase the discomfort now. I suppose it boils down to this: the Brighton Marathon will be the culmination of months of training for most people taking part, but for me it will be another training run. Of course, not just any other; it will be the best training run ever, with thousands of other runners, crowds of onlookers (including my kids, waving their specially made flags) and a carnival atmosphere. I’ll have to remember that on the day and not get too swept along. I want to run the marathon in under four hours. But not at any cost. All this isn’t a sprint, after all, it’s an ultra marathon. ← Nine weeks to go: Can a marathon ever be comfortable?